This can’t be good news. 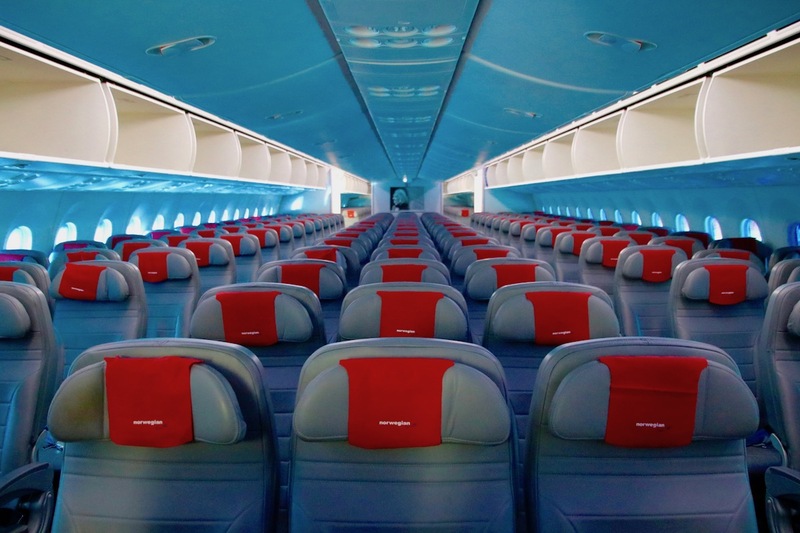 For the past several years, Norwegian has helped reshape the transatlantic market, with their innovative low cost model. 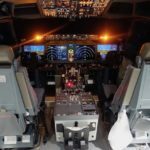 The airline has launched transatlantic flights with both 737s and 787s, and has offered a pleasant experience at a great price. The only problem is that the airline hasn’t been able to make any money with this business model. Last year we saw several European airlines liquidate, and for a while it looked like Norwegian was in financial trouble, and was running out of cash. They’re now in cost cutting mode and are increasing their cash on hand, but I still don’t think that means they’re in the clear. Last year Norwegian became an attractive acquisition target. Last April, IAG acquired a 4.61% stake in Norwegian, and was considering a full takeover. 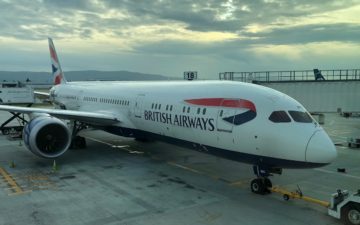 IAG is the parent company of British Airways, Iberia, Aer Lingus, and LEVEL, and Norwegian has been one of their biggest competitors for the past few years. Over the months that followed, IAG made two takeover bids for Norwegian, both of which were rejected. Norwegian seemed to think they were worth more, though I’m not sure based on what they decided that. I imagine Norwegian was hoping that IAG would come back with a third (better) offer, but it looks like that’s not happening, and they may have overplayed their hand. Bloomberg is reporting that IAG won’t be making a third offer for Norwegian, and will be selling their existing stake in the airline shortly. This has sent Norwegian shares into a huge decline, as they closed down 21% today. It should be an interesting few months ahead for Norwegian. 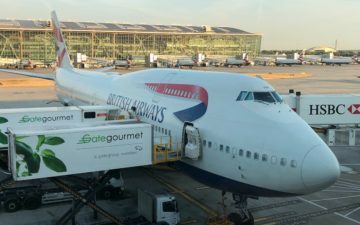 While the airline can make it through the summer months, making it through winter is significantly more difficult for a transatlantic leisure airline. What do you make of IAG’s decision to no longer invest in Norwegian? Did Norwegian overplay their hand? IAG all along had a plan in mind…. or just realized they are too busy with the post Brexit consequences on their current assets. In any case, it doesn’t reflect well on them. It should be an interesting few months ahead for Norwegian. If they fail, the assets would become available. However, Norwegian is making a big loss here, they could take advantage in this summer instead. Your article, like many others, seem to be rooting for the failure of Norwegian. They didn’t fail by the end of 2018, as many were predicting, and I wish them success as they try to survive the ocean of negative Nellies still in their midst. Norwegian has been an innovative airline and provided many people with the opportunity to see far-flung places at incredible prices. They service a niche market in the travel industry and should be lauded for that instead of calling for their demise. Running an intercontinental airline as a LCC is always going to be tough. The LCC model cannot be fully adopted by airlines intending to operate long haul routes and thus the price point advantage is much more sensitive and narrow. There is a reason why long haul LCCs are rising – especially with the advent of much more efficient and low operating cost hardware. A transatlantic leisure airline? I think you are forgetting the fact that Norwegian is still primarily flying within Europe, where it serves both business and leisure clients. For example in Scandinavia it is the largest airline. IAG themselves have made a public statement saying they will not be making a third offer, so they could not now swoop in and make a third takeover offer, having driven down the Norwegian share price – that would be market manipulation. It sure seems like they don’t believe Norwegian will survive anymore, at least not with their current network. Given that Norwegian had to refinance some of their 787s just to free up cash to survive the winter that doesn’t surprise me, and the 21% drop in their share price sure suggests other people feel that way too. Also can’t imagine IAG wants to take on a big acquisition right before a seemingly chaotic Brexit. @Dexter, how is setting money on fire an innovative business model? Their job is not to subsidise travel to far flung destinations for anyone who wants to, it’s to make money transporting people… Setting unsustainably low prices just poisons the marketplace, forcing the major carriers to compete at unsustainable levels, and then cut onboard services, “densify” seats and generally make the travel experience more hellish, all chasing an airline that chose to set a price point that will NEVER be sustainable. Fingers crossed for failure as soon as possible. Longhaul LCCs are a cancer that do nothing but drive down service levels across the industry. You say “IAG could be bluffing”. Could you please explain how you reconcile that with Stock Market rules around market announcements? There’s really no point in investing in a failed enterprise. Wait for them to implode and then just pick up the pieces. It’s not brain surgery. Chris C….are you for real? You really think that IAG planned this all along? They made two offers that were turned down, then walked away from the deal, not believing Norwegian to be worth any more. How the hell does that reflect badly on IAG? Whilst I have no desire to fly them across the Atlantic, I’d be sad to lose Norwegian in Europe given the price impact they’ve had on routes to Scandi (and no difference in product really for short-haul). I wonder how rude / entitled one has to behavior towards the cabin crew to be called a b*****d by them. I fly a lot (including once in premium in Norwegian) and this never seems to happen to me or anyone I’m friends with. Feels like a mirror moment..
As with any long term, sustainable business, if it doesn’t make money, it doesn’t make sense. My last Norwegian AMS-ARN experience was hellish. An AMS inbound passenger took a FA’s rollaboard by mistake. The captain decided to delay the entire plane load of people for almost 2 hrs whilst they tracked down the errant passenger and retrieved the Norwegian employee’s bag. They were in phone contact the entire time, and we were treated to frequent updates like “he’s on the motorway back to airport”. Outrageous. Anyways, sure, I let you think IAG are the good guys. If that makes you feel better. Chris C – I have no idea of what you’re talking about. But there again, you’ve already proved that you don’t either. red_robbo I suggest Google: “Airlines, executives, white house, meeting”. That’s a good start. Chris C – Why should I? I’m not in the least interested in what goes on in the White House!!! I hate to inform you that this post is about Norwegian and IAG. p.s. Are you Debit in disguise? red_robbo It all started when I said you were truly candid. Maybe that’s how you act/think in general. No judgment.